Beers, like Americans, have been on a seemingly never-ending march toward getting bigger. More booze. More glitter. Just more. But this week could signal drinkers’ desire to press pause on that trend. Boulevard Brewing Co. dropped Easy Sport Recreation Ale ( made with tangerine peel) yesterday. The lower calorie (99 on the nose), lower alcohol-by-volume beer is Boulevard’s offering in the sport beer category — beer aimed at the fit set. Harpoon Brewing Co.’s Rec. League, a light-drinking hoppy beer (3.8% ABV) that says 120 calories on the can just arrived in our market from Boston this week. And Dogfish Head’s Slightly Mighty, a 90-calorie IPA is out this month. Craft beer is coming for you, light beer. 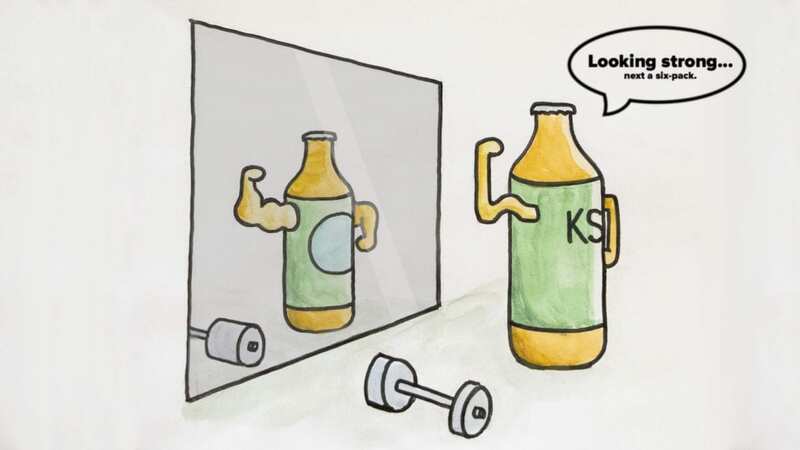 Easy Sport appeared on the same day that 3.2 beer (which is 3.2 percent alcohol by weight) is officially phased out of Kansas grocers and convenience stores [check out this KCUR piece on the history of 3.2 beer]. A new law enacted the state legislature allows for “strong beer,” up to 6 percent alcohol by volume to be sold in grocery stores and convenience marts. Fans of barrel-aged and high alcohol brews (think double digits) have been scoffing online at the designation of 6 percent as “strong,” but in comparison to the sport beers of the world — Michelob Ultra at 4.2% ABV may be the most well-known of the category — a full-calorie, full-bodied beer could very well drink like the elephant in a mix-pack. Double Shift Brewing Co. has a pair of new brews: Raspberry Grind and Blueberry Grind. The sour beers, meant to evoke the fruit notes present in coffee, are a collaboration with Messenger Coffee Co. (which has a collaboration with the soon-to-open Alma Mader Brewing in the works). The raspberry was made with milk sugar and orange peel, while the blueberry used lemon peel. Keep your eyes peeled for more cocktail-style beers. 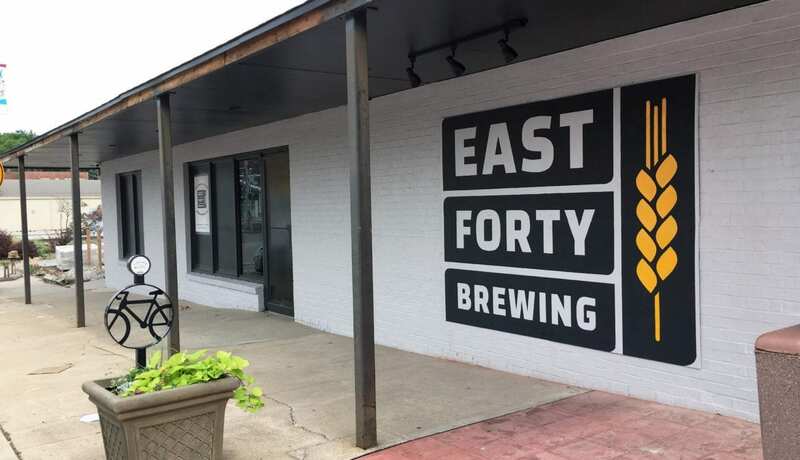 East Forty Brewing Co. has a strawberry margarita gose on tap and City Barrel Brewing Co. recently dropped Day Drinker, a “mimosa-style” IPA made with mango. Brew Lab is set to drop Electric Park (10% ABV), a bourbon-barrel quad with beer aged in J. Rieger & Co. whiskey barrels. You can now get Old Shawnee Pizza from Repeal 18th at Cinder Block Brewery. The pizza will be delivered to the brewery until 8 p.m. Monday through Thursday and 4 p.m. Sunday. Servaes Brewing Co. is opening on Saturday, April 20. The Shawnee brewery will be open from 11 a.m. to 10 p.m. on Saturday and 11 a.m. to 6 p.m. on Sunday. Bou Lou, the collaboration wheat brew with pineapple and coconut between Boulevard Brewing Co. and Tech N9ne made for Boulevardia last year where Tech N9ne performed, will return in the middle of this month. Gomer’s Collectibles has moved to 17220 W. 87th St. Parkway. in Lenexa, Kansas. The grand opening with wine and beer sampling is from 4 to 6 p.m. in the Lenexa City Center. 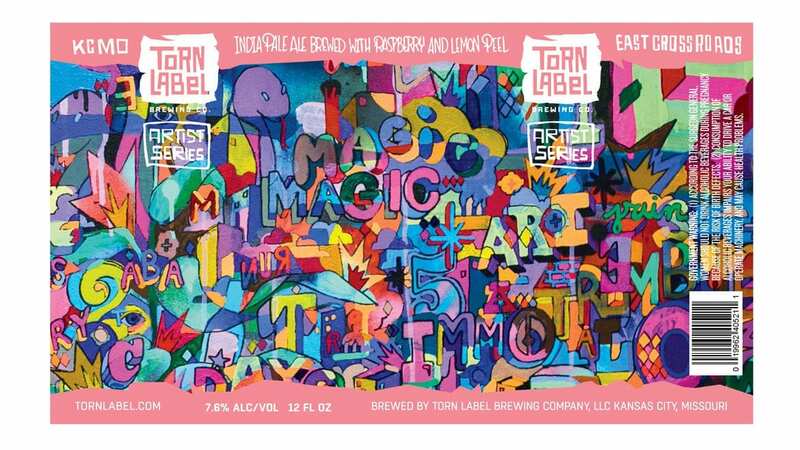 The Magic Magic is back at Torn Label Brewing Co. The painting that inspired a beer (an East Coast IPA with raspberry and lemon peel) that inspired glassware. Enjoy drinkable art from 4 p.m. to midnight. The food truck, Kurry Up KC, will be serving food. Wake up and mellow out at Crane Brewing Co. The Raytown brewery is opening an hour earlier at 11 a.m. for the release of a Cascara Weiss (4.3% ABV). It’s a version of the brewery’s Berliner Weiss, a slight tart brew made with cascara cherries — the husk from coffee cherries (the fruit that surrounds a coffee bean) — in a collaboration with Blip Coffee Roasters. Chopped Grill Master Stephanie Wilson will also be there with barbecue beef and pulled pork sandwiches. Commercial breweries and home brewers will be bringing their latest creations to the third annual Spring Fling Beer Festival at iWerx (1520 Clay St., North Kansas City, Missouri) from 5 to 8 p.m. on Saturday, April 6. Get a sneek peak at Rochester Brewing and Roasting Co., and check out Spark Magic Tropical Edition (a radler made with edible glitter), an Imperial Oreo Stout and a Kiwi IPA. Tickets, which benefit the North Kansas City Rotary Club, are $30 in advance and $40 at the door. Why shouldn’t your dog get a beer too? Grinders Pizza (417 E. 18th St.) hosts Dog Days with Beer Paws. The pizza shop in the Crossroads will have specials on Schlafly as well as dog beer (it’s beef-based and alcohol free) from Beer Paws from noon to 4 p.m.
KC Bier Co. is celebrating National Beer Day with $1 off half-liter and liter drafts of four brews: Dunkel, Hefeweizen, Helles Lager and Pils from 11 a.m. to 9 p.m. You can also get a Polish sausage with Dunkel mustard. If you order a spezial beer between 2 and 4 p.m., KC Bier will donate $1 to Phoenix Family, a non-profit that helps families and seniors in low-income housing.